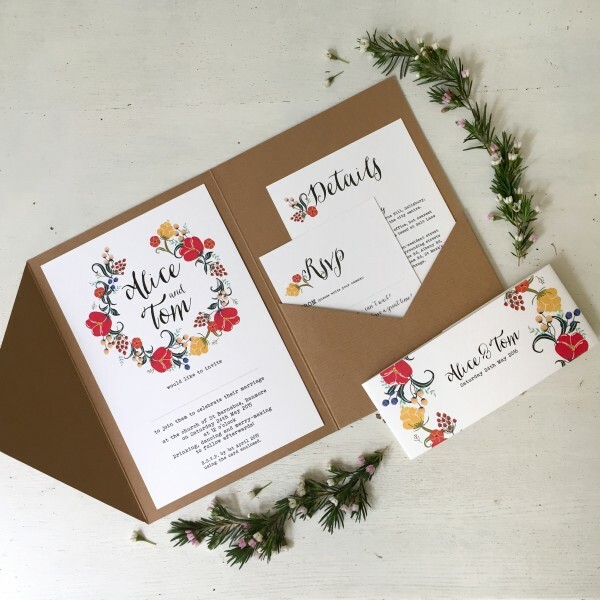 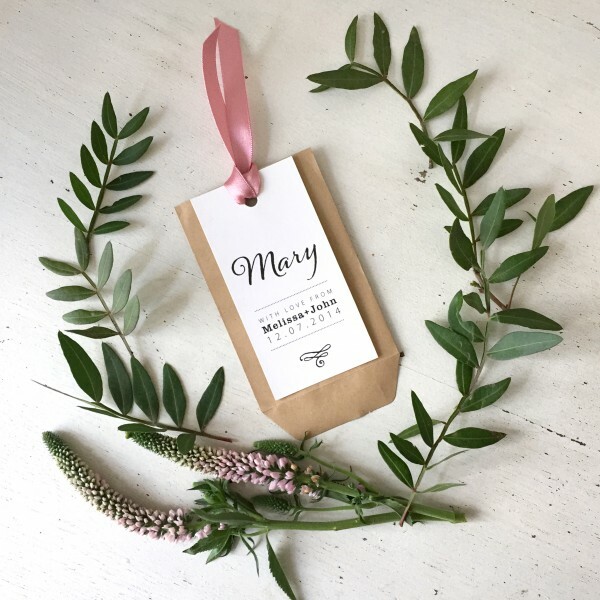 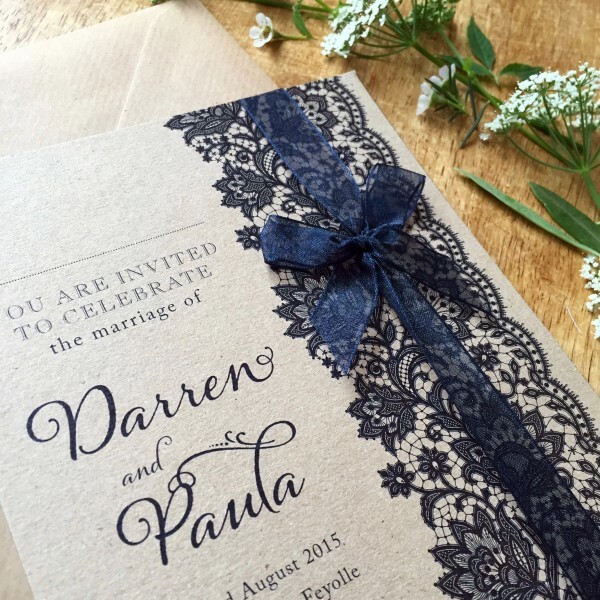 At Tigerlily we have a beautiful range of designs to suit all styles, from vintage-inspired using lace and botanicals to chic, contemporary typographical designs. 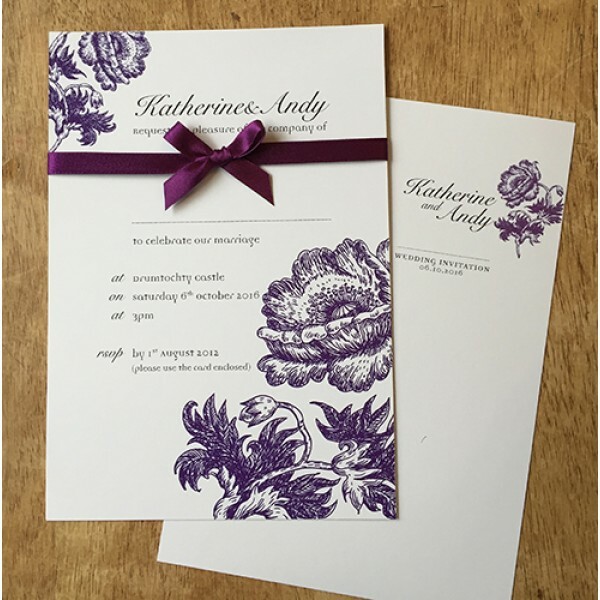 Browse through our collection and personalise your chosen design as much as you want. 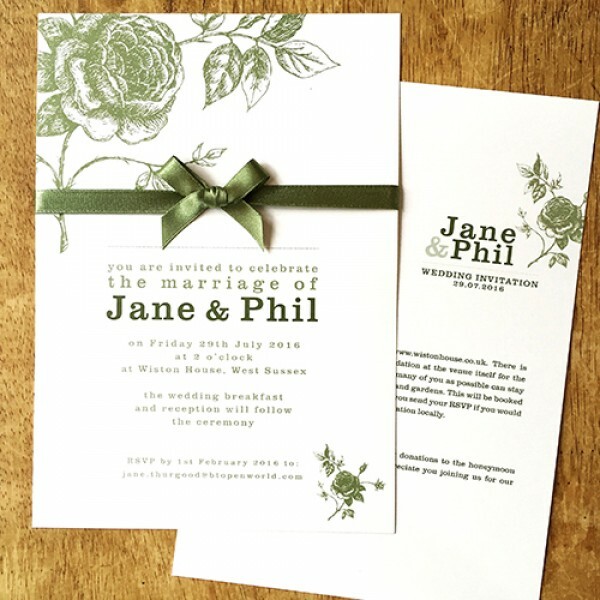 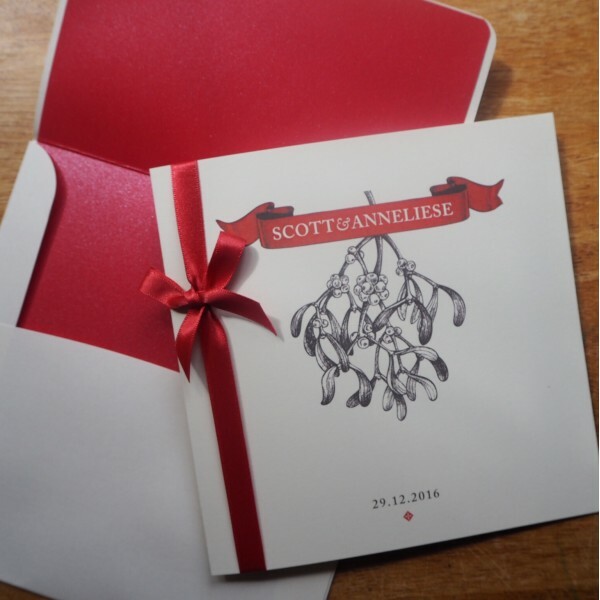 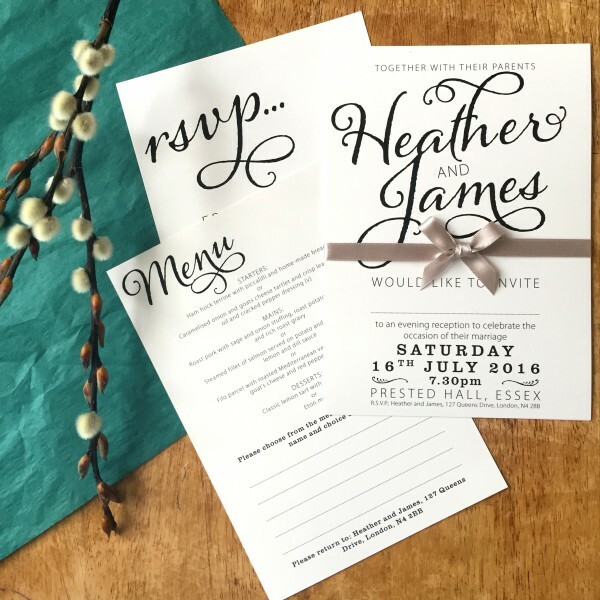 Change the fonts, colours, ribbons and the card it’s printed on to really make it your own. 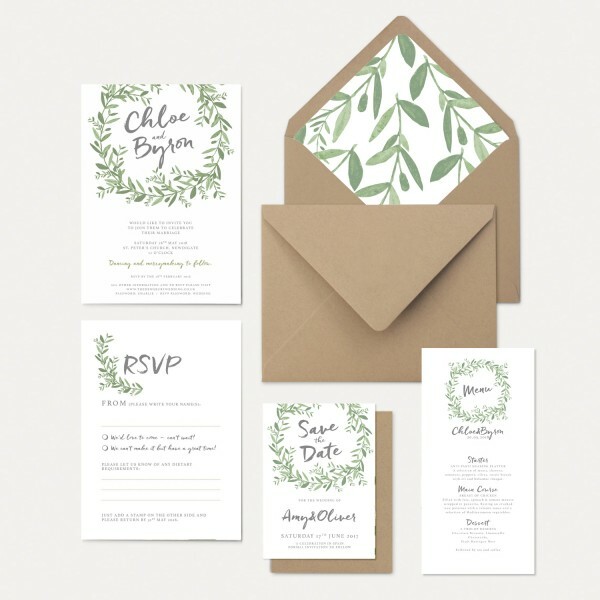 Don't see anything you like? 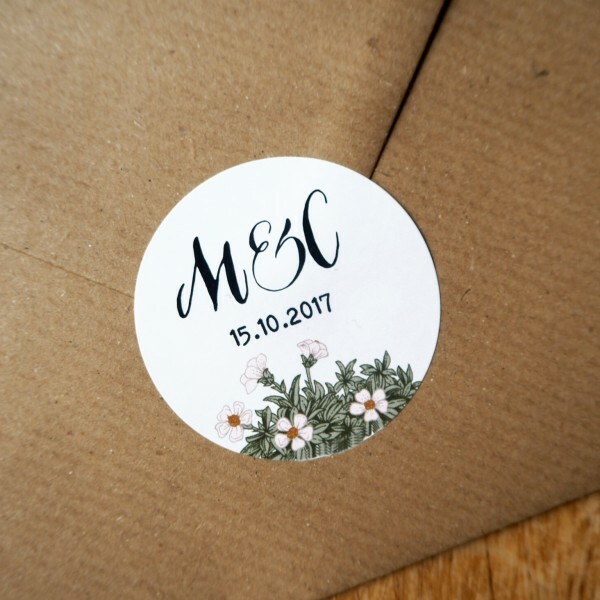 We also offer a bespoke service, so if you have a specific idea or theme, just contact us and we will create something just for you. 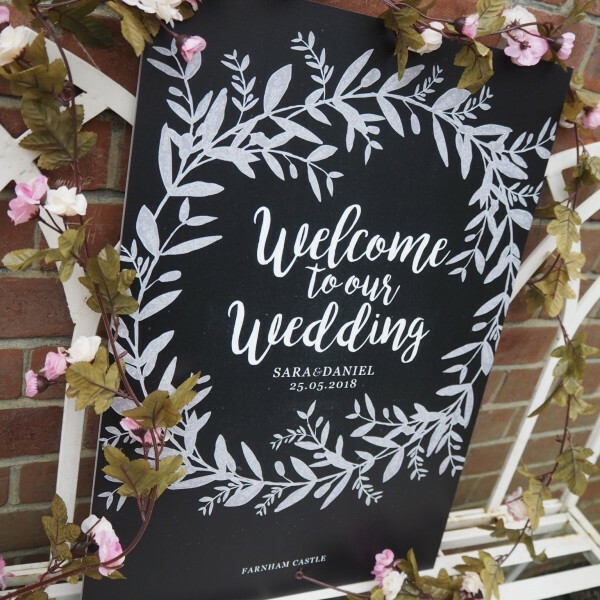 Welcome your wedding guests with this gorgeous chalkboard-style sign. 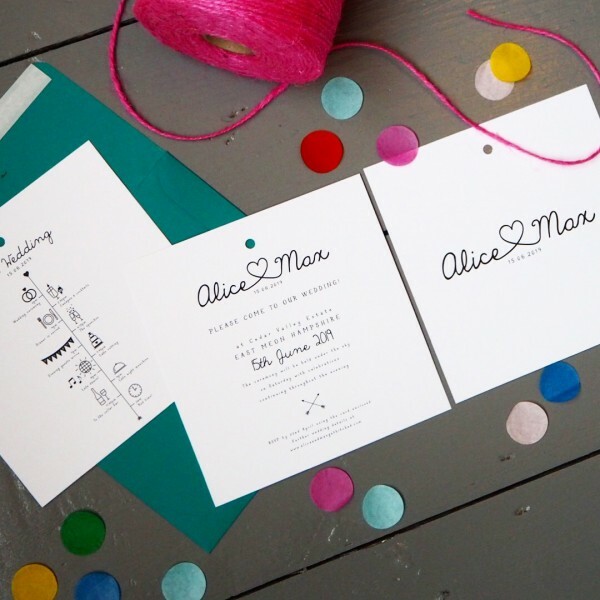 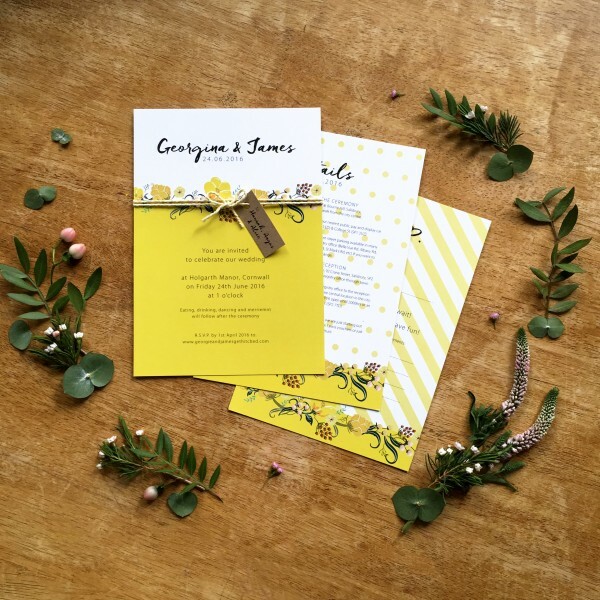 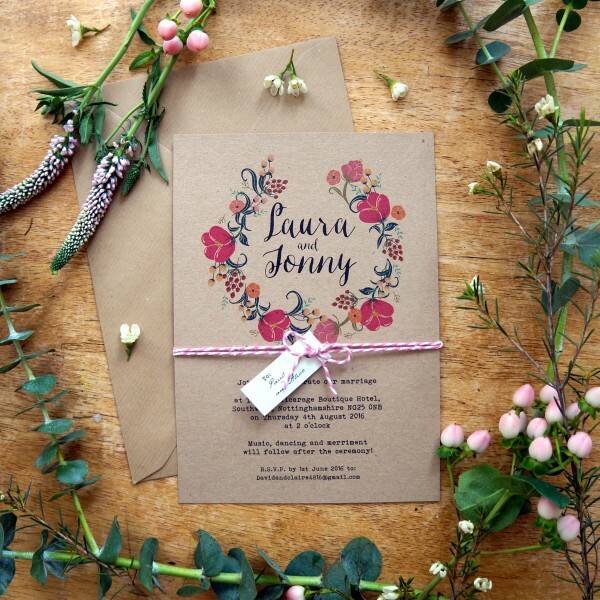 Choose from one of our designs..
A gorgeous design to reflect a sunny and bohemian wedding theme - works perfectly for a relaxed and ..
A fun and quirky confetti invitation design for a relaxed and modern wedding.We can match your weddi..
Personalised stickers in our coordinating designs, perfect for wedding invitations, favours and enve..
A lovely, informal wild flowers design that comes in a variety of colour palettes - works perfect..
An elegant French-inspired design, using a mix of pretty, vintage fonts, soft greys and an olive wre..
A gorgeous litte foliage design using vintage fonts to accentuate the style - this range looks pe..
A gorgeous design that has a very romantic and stylish look. 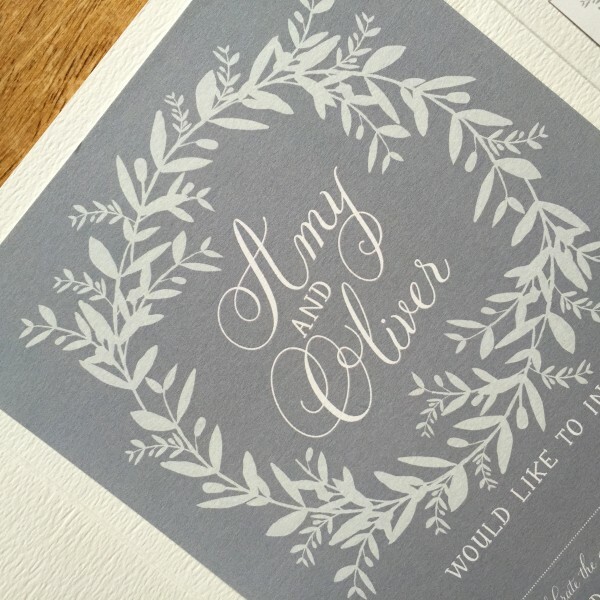 This can be soft and dreamy in paste.. 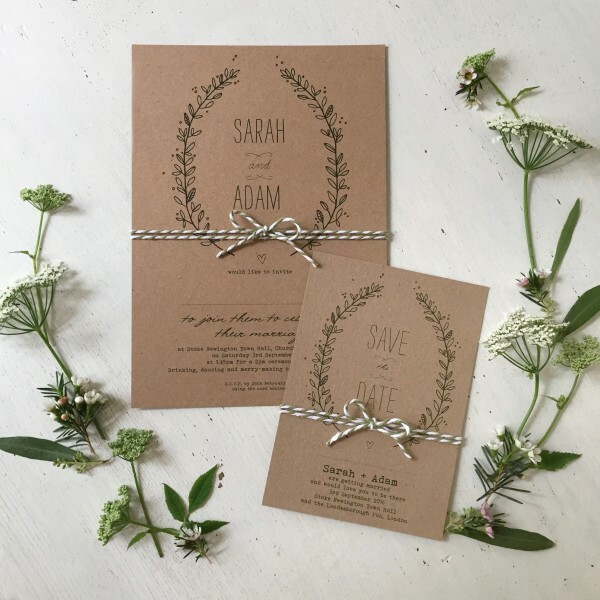 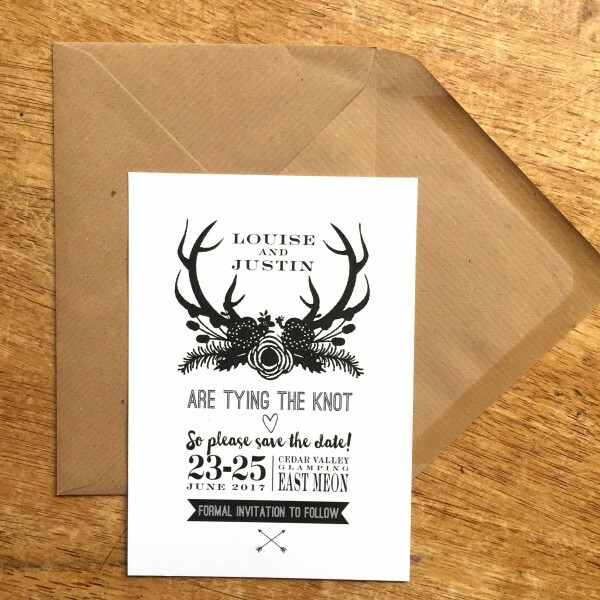 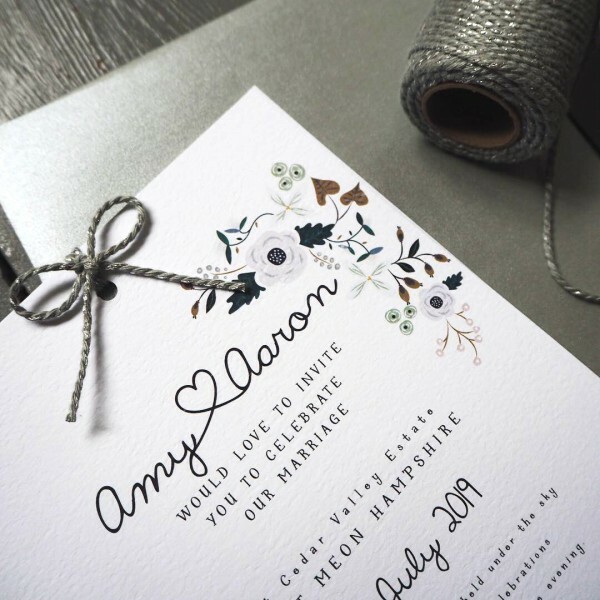 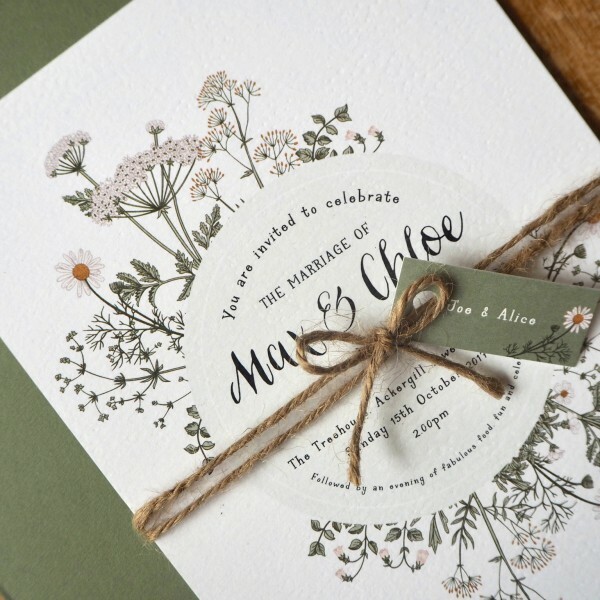 This countryside-style design uses grasses, flowers and birds to create a gorgeous, hazy summertime ..
A beautiful etching of an anemone has a real vintage feel and by using colour combinations and co..
A gorgeous little wedding favour envelope and place card tag that incorporates your guests’ names an.. 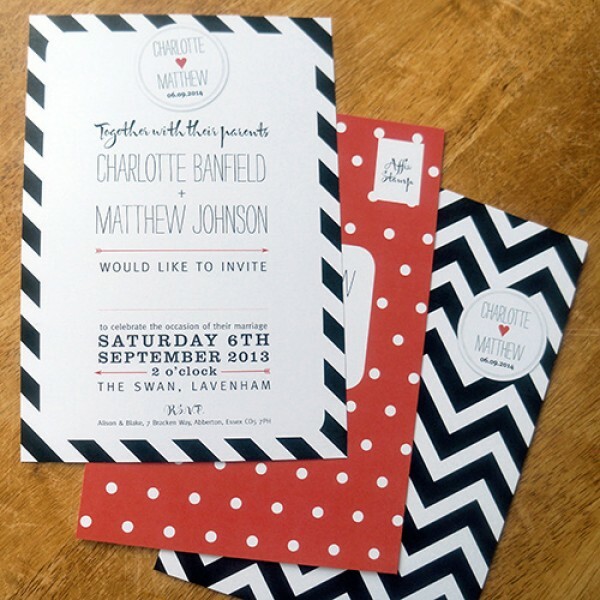 Using bold typography, this design really stands out and has that retro feel. 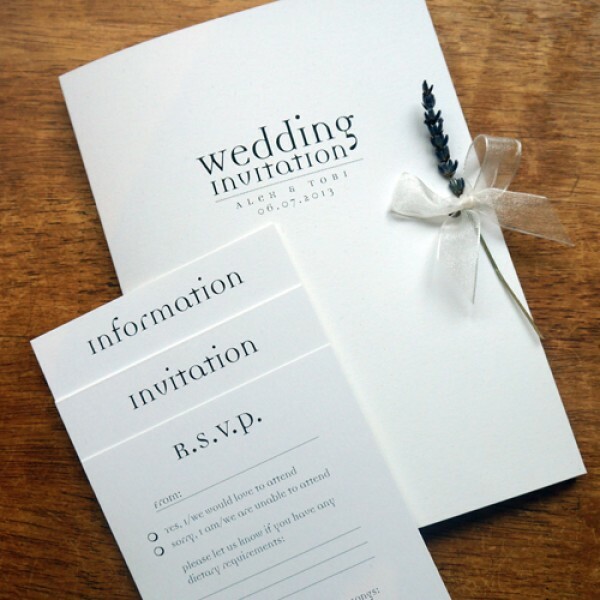 Choose your favourite .. 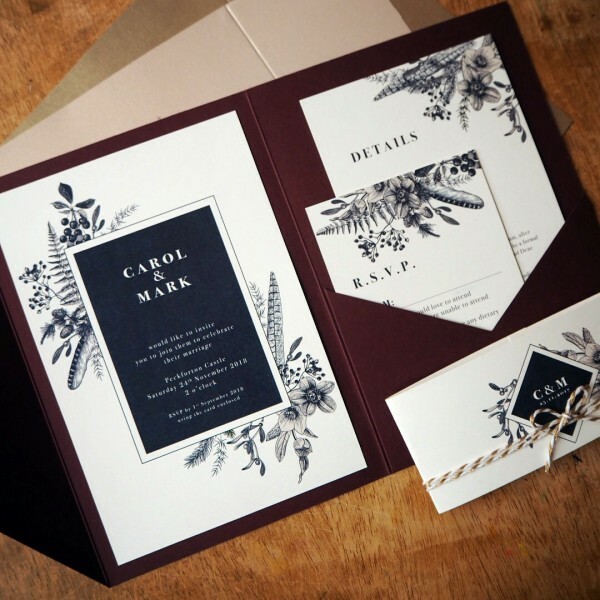 Simple and stunning - using typography alone can create any look you want. 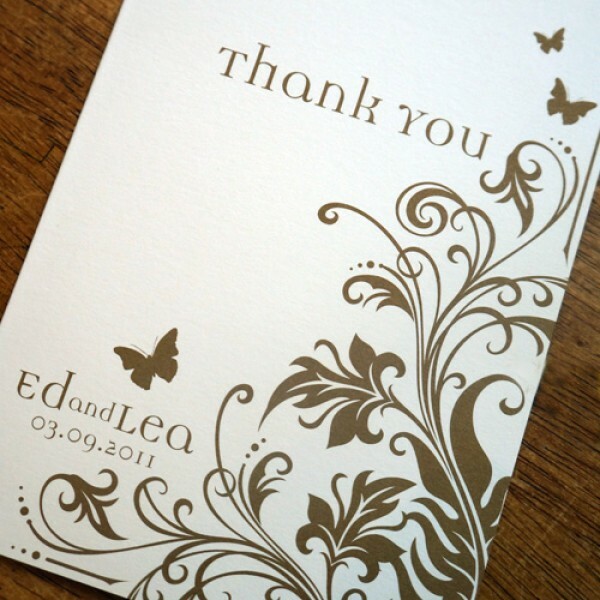 We’ve added lavender or r..
A lovely sinuous scroll design with leaves, vines and butterflies. 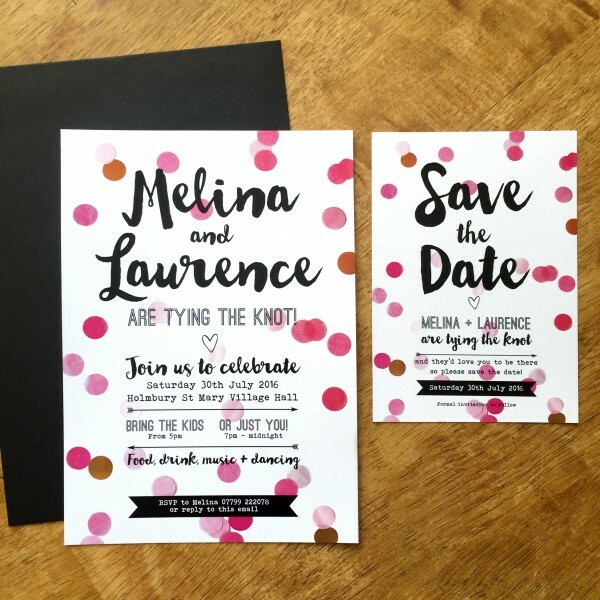 We can match your wedding colo..